A prominent trend during 2014 was the introduction of responsive public sites – Nordea, Länsförsäkringar Bank and SEB. In 2015, this trend has evolved towards creating fully responsive websites (including the secure connections). Skandiabanken recently went live with a beta version of their upcoming site. So far it has only been promoted to members of the bank’s customer panel. The site is responsive and has similar design and navigation as the bank’s existing site in Norway. They are currently collecting feedback from customers and the site is expected to go live later this year. Another recent example comes from Santander Consumer Bank, who went live with a fully responsive site earlier this month. With their recent purchase of GE Money Bank’s Nordic business they will be an interesting player to monitor moving forward. 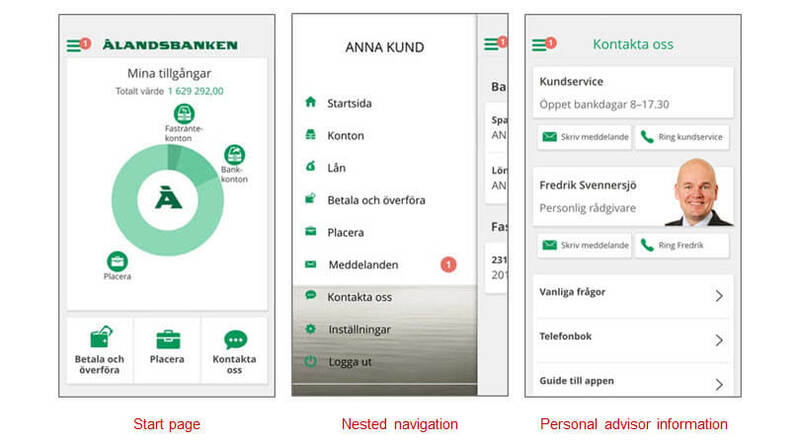 Nordnet and Ålandsbanken have both introduced new mobile banking apps. The new Nordnet app has a completely new design and user experience. 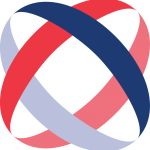 The bank has been active with promoting the app ahead of the launch and communicating its benefits on their website. Compared to their previous app, this update shows significant improvement. Customers can access the secure areas by using Mobile BankID. Whilst logged in, the service is much easier to navigate with large and clear text and icons. It is also possible to personalise the experience by adding and removing widgets on the startpage. Ålandsbanken launched their first mobile banking app. Previously, the bank has only provided a mobile web service. Notable in the new app is the design of the startpage which clearly presents the customer’s finances visually, see below picture. The nested navigation also makes it easy to move around within the app. In terms of features, customers can see information about their personal advisor; name, photo and contact details are available including the option to click-to-call or to send an email. This is something previously only provided by Skandiabanken in Sweden. IKANO Bank has also gone live with a new app during the spring. In this case, however, this is a specific app to encourage savings. The aims is to support savings towards joint savings goals with others. The app has been promoted heavily within its own channels, including a dedicated website. This is an interesting follow-up to the bank’s initiative ‘Flappy saver‘ from last year. Apart from the introductions already made, we can expect quite a few initiatives to take place over the upcoming months. One example is Nordea, who in their most recent annual report presented information about an upcoming initiative related to the bank’s IT structure. ‘Simplification’ is the name of the project and the purpose is to simplify the backend banking systems and free up resources to develop interfaces and services to customers. We will make sure to keep an eye on the progress of this initiative over the course of the year.